The Insurance Corporation of British Columbia’s most recent crash statistics attracted scant notice from the media, despite the finding that 281 people died in automobile-related crashes in B.C. in 2012. This is in a population that carries 3.2 million operating licenses. From 2008 through 2012, we lost an average of 331 people per year to traffic fatalities, the equivalent of having a packed airliner fly into Burnaby Mountain every Christmas Eve. This is an urgent matter for British Columbians, and for local governments in particular; but we tend to devote our attention to slighter issues, such as the unproven risks attached to the blips emitted by the electric company’s metering equipment. The estimated number of vehicle-related injuries in 2012, to underline the problem, was 81,000. There were 58,000 injuries in the Lower Mainland, and 96 deaths. Thirty-two of those who died in the LowerMainland were pedestrians, accounting for about half the pedestrian fatalities in the province. The number of alcohol-related deaths in B.C. vehicle crashes has dropped by more than half since 2012, when the provincial government implemented tough new laws to punish drunk drivers. The pattern for cyclists, however, shifted through 2012 as reported by ICBC. The City of Vancouver has worked hard to encourage cycling activity, and has established absolute dominance in terms of the frequency of cycling crashes. All ten of the top crash locations in B.C. are now in the City, measured over the past five years. The north end of the Burrard Street Bridge is number one, with 28 reported crashes. The Burrard Street and the Tenth Avenue routes together account for more than half of the top ten locations. 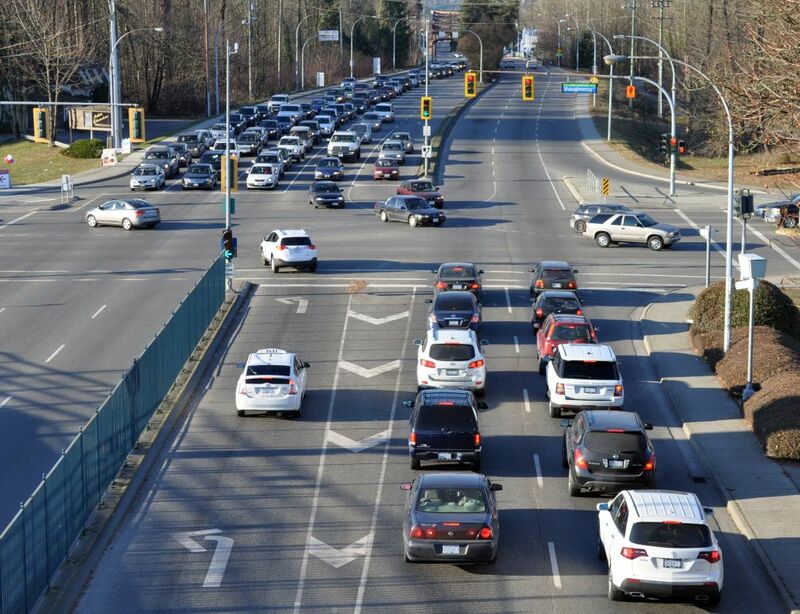 Outside of Vancouver, there is no intersection that has seen more than six crashes in five years; there are two of these in Surrey, one in Victoria and one in North Vancouver. Soon after ICBC released its 2013 crash report, a two-year-old boy who was walking with his mother was struck and killed by a vehicle on a shopping mall parking lot near my home. This unhappy story drew far more attention than any statistical summary. Within days of the boy’s death, ICBC reported to the news media that more than 16,000 crashes have taken place at the Lower Mainland regon’s 12 largest malls over the 2008 to 2012 period.